Use free woodworking patterns to design your next few projects. Purchasing wood for your latest do-it-yourself project can cost enough, so why not save a little money and use free woodworking patterns to design your next few project?. Between the Internet and a few television shows, you shouldn't have many problems finding the plans and supplies you need. Jim Barry's Woodworker's Workshop has almost 24,000 free woodworking patterns, links and plans ready to download and print. Some of the plans are in a video format and can be viewed right from the site. To watch these videos, you will need either Windows Media Player 9 Series or Adobe Macromedia Flash Player 8 or higher. The Web site is categorized by what type of plan is being sought, from garden woodworking to towel racks and holders. There is even a section devoted to wooden model airplanes. The hobbyist seeking information on these types of planes will also get a short history lesson with each pattern. Visitors can request a free catalog (shipping is $5) that displays many of the projects viewed on the Web site. Jim Barry also sells some of his plans for nominal fees. Instead of having plans available for printing or downloading on its Web site, the DIY Network will list airing dates. Set your DVR and replay the program as many times as necessary. 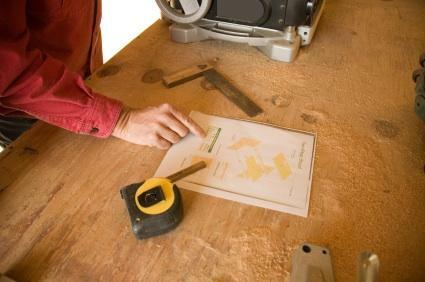 It is wise to organize your free woodworking patterns in a system that makes them readily accessible. You may want to categorize each plan according to the type of project and place it in a three-ring binder or file folder. All the pertinent information should be listed on each pattern, including the Web site from which it was downloaded, the project duration dates, type of wood and other supplies needed to complete the project. If you want, list the pros and cons and whether this is a project you would do again. If the patterns are downloaded from a Web site, print out hard copies and follow the above instructions. On your computer, create file folders sorted by type of project and make frequent backup copies.